Stopped by the road side farm market on the way to the studio this morning and was surprised to find a whole table laid out with heirloom tomatoes. “The very last of the season”, the young woman said as she finished putting out bushy bunches of kale. So we grabbed a few of the largest and ripest Black Krims for lunch today. 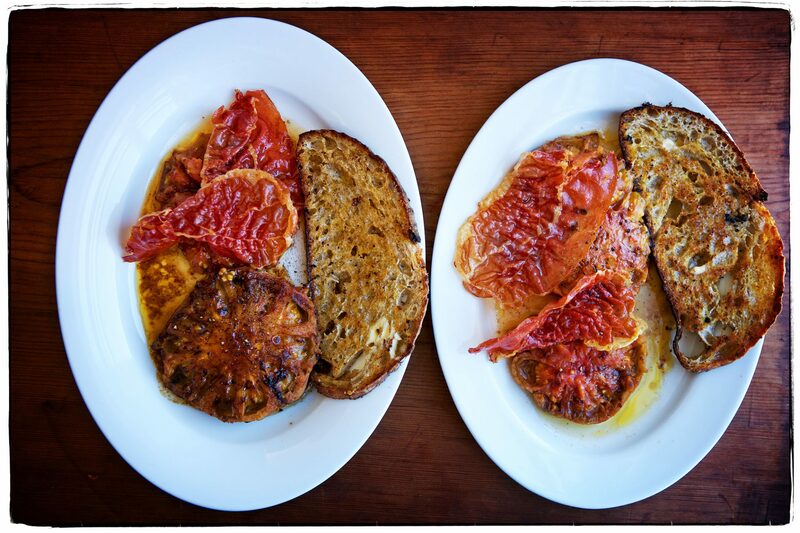 We thought we might make BLTs, but with no bacon or lettuce in the fridge, we made the next best thing: prosciutto cooked like bacon (nice and crisp), tomatoes pan-fried in the prosciutto fat and some olive oil, and fried toast with butter. Wish we could eat this combo all winter long!